The EVE Program began in Evian in 2010, and was created to promote balanced leadership and train a generation of inspired and informed managers who could go on to transform organizations by channeling the benefits of diversity to boost performance. Its motto is universal: Be yourself and unleash your potential! Since its creation, the program has grown and spread to two other parts of the world with remarkably dynamic economies and high potential for innovation across the board (technological, social, and cultural): Asia Pacific since 2014 and Africa since 2017. 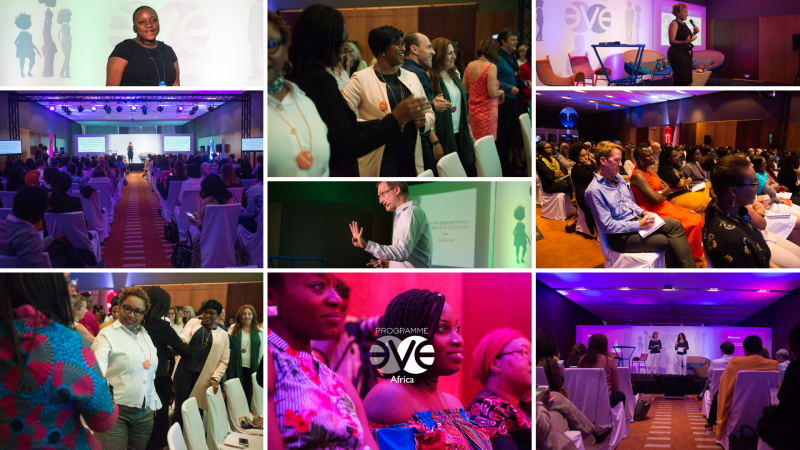 The second edition of the EVE Africa seminar is to be held in Dakar from November 27 to 29, 2018, with its main partners Danone and L’Oreal, and its sponsor Orange. It has attracted participants from Alix Partners, Keolis, Barry Callebaut, Thalès, Total, CBAO, and many other organizations. In total, around 100 people from 20 or so African countries will be gathering for three days in Dakar to benefit from the EVE experience. They will hear presentations from some of the program’s long-time internationally renowned speakers (Tal Ben-Shahar, the leading light in positive psychology, therapist Allal Bennani who explains how to (re)discover the superpower of enthusiasm; Jean-Edouard Grésy, a legal anthropologist and expert in the field of cooperation, negotiation and constructive conflict; and Thomas d’Ansembourg, leader of the non-violent communication movement in Europe). Participants will also get a chance to hear African experts on the issue of diversity (Sundiatu Dixon-Fyle), find guidance on how to bring about empowerment (Rachel Nyaradzo Adams, Nayla Choueiter) and learn how to develop assertiveness and political intelligence (Sandra Happi-Tasha). The program also presents an introduction to techniques that promote well-being and balance in our daily lives (Yama). The program also includes testimonials from top business leaders (Gwendoline Abunaw, Marina Menu, Sékou Dramé, Alexandra Palt) political activists (Aïssata Tall Sall), and entrepreneurs whose boldness is matched only by their determination to create economic and social value (Ayisha Fuseini). It gives a mouthpiece to women who are “changing the world” by energizing other women and men, providing them with inspiration and/or developing ambitious volunteer projects (Sibulele Sibaca, Afua Osei, Chrishaunda Lee Perez, Angel Fandoh). The program is packed with useful, inspiring and enjoyable sessions , and once again proves that if we start by changing ourselves, we can bring about change in our world. And then there’s no stopping any of us!